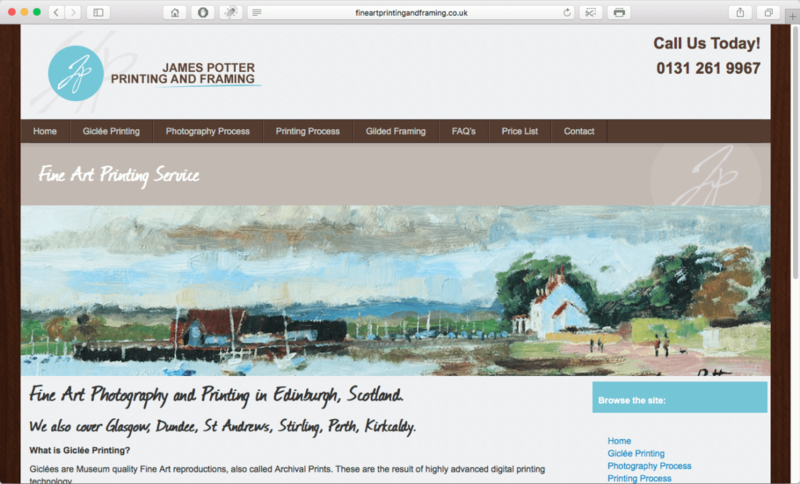 Fine Art printing and framing is and Edinburgh based company. A site was required that was in keeping with the design of the clients other site. It was done on a relatively tight budget and schedule.